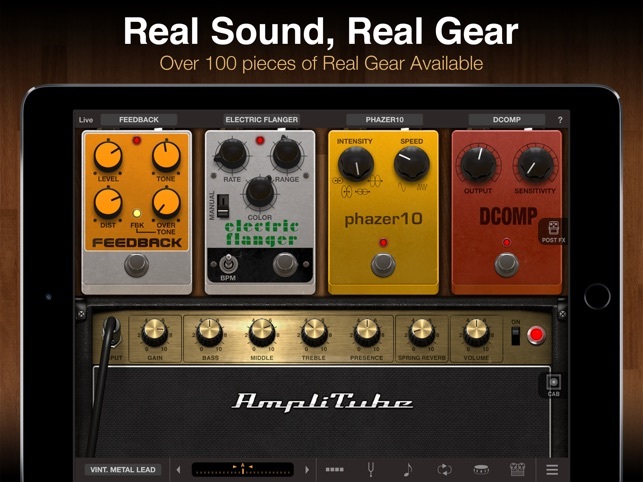 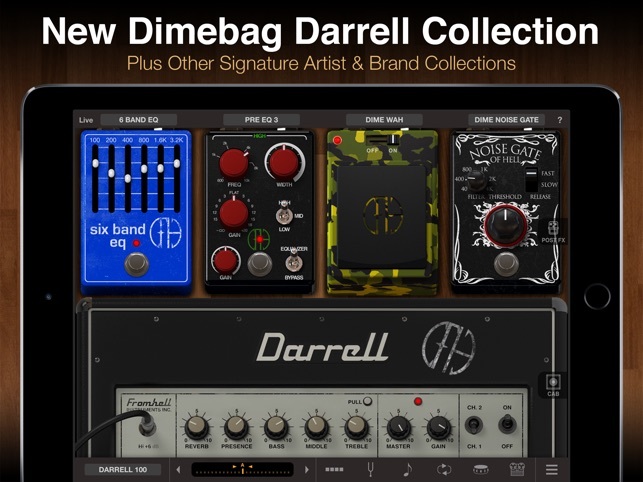 Guitarists and bass players can plug in and rock out with the multitude of high-quality amplifier, stompbox and cabinet emulations in AmpliTube for iPad. 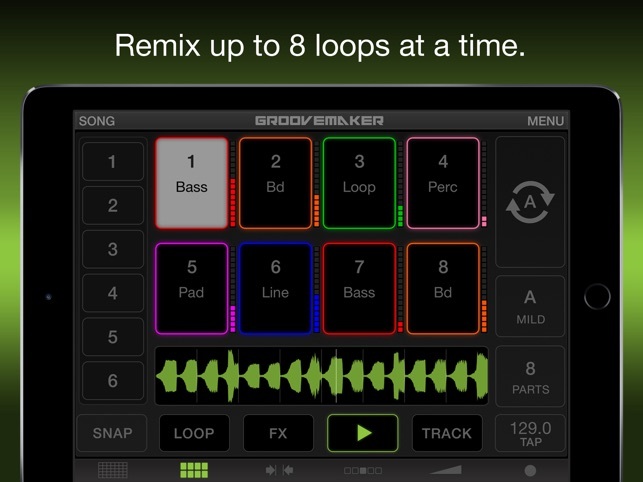 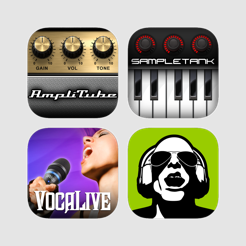 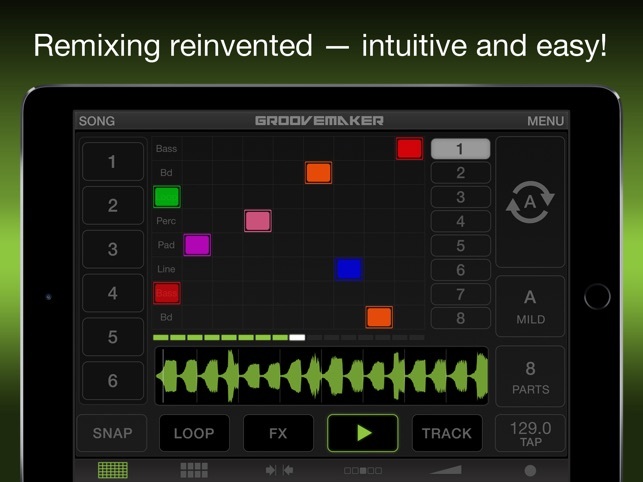 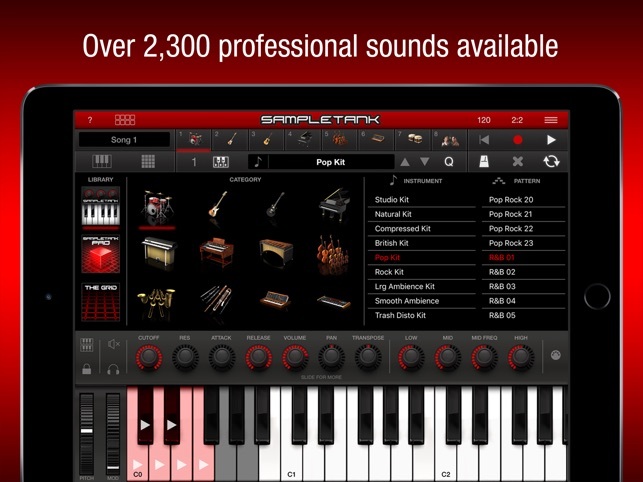 Keyboard players can take advantage of SampleTank for iPad, which puts an entire universe of meticulously sampled instruments at your fingertips plus a whole spread of effects processors, loop and groove tools and other advanced features. 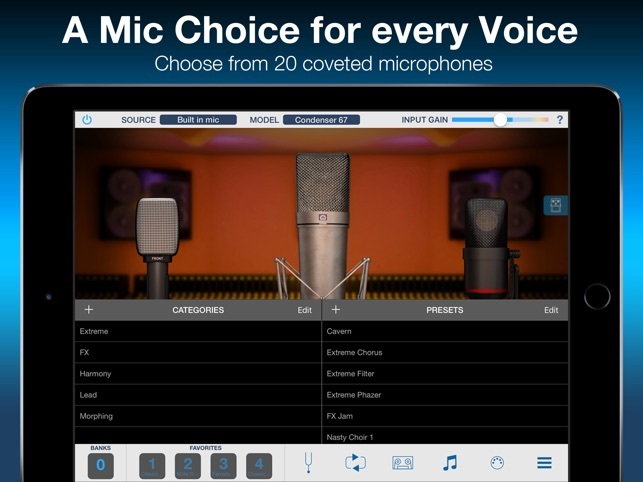 Vocalists can sing their hearts out with VocaLive, a powerful vocal recording suite with 12 real-time effects, convenient editing features and the ability to record over the vocals on any song in your iTunes music library. 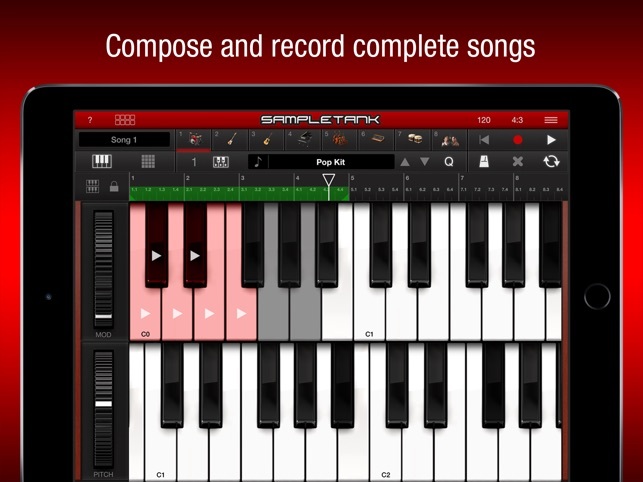 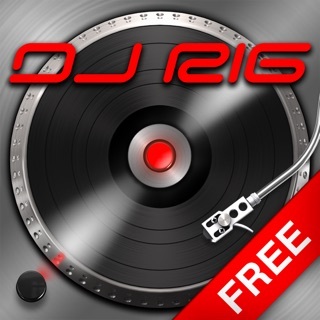 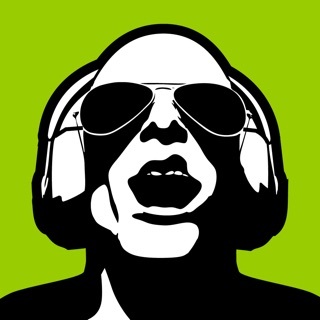 DJs and electronic music producers can take advantage of GrooveMaker 2 to quickly and easily create professional-quality non-stop electronic, dance and hip-hop grooves. 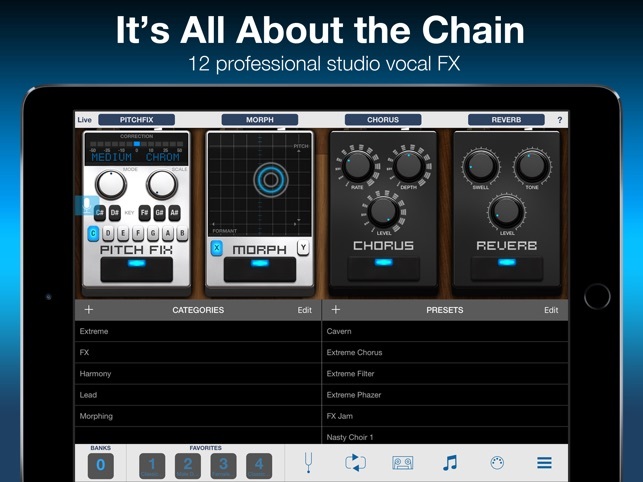 Add it all together and it’s quite a deal at $39.99 — especially when you compare it to the $69.96 it would be if you were to buy each app individually.